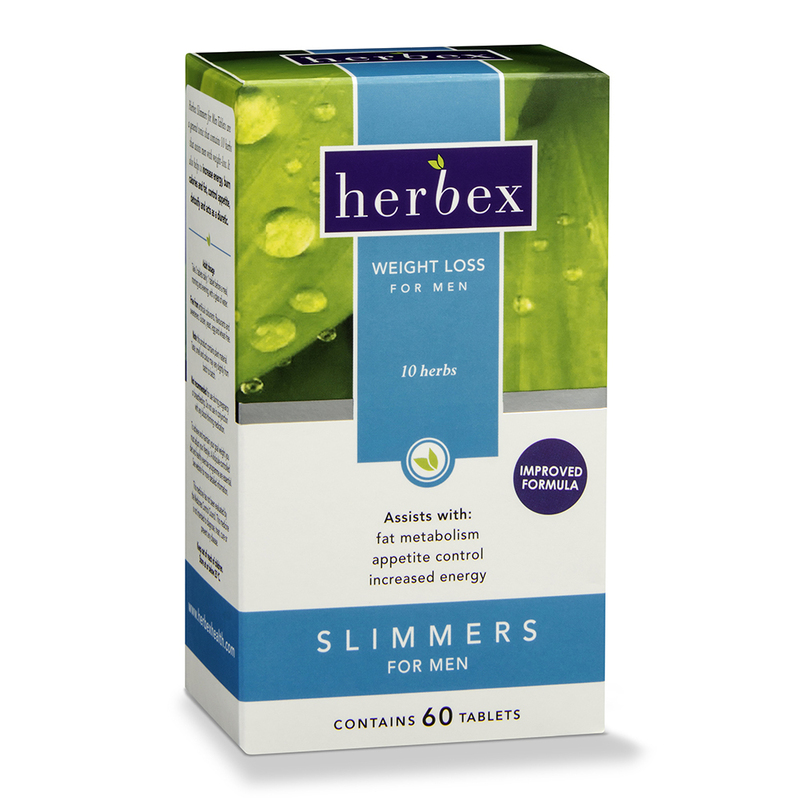 Herbex Slimmers for Men Tablets are a general tonic containing 10 herbs to assist men with weight loss. It also helps to increase energy, burn calories and fat, control appetite, detoxify and acts as a diuretic. Inactive ingredients: calcium phosphate, magnesium stearate, mannitol, microcrystalline cellulose, silicon dioxide and stearic acid. 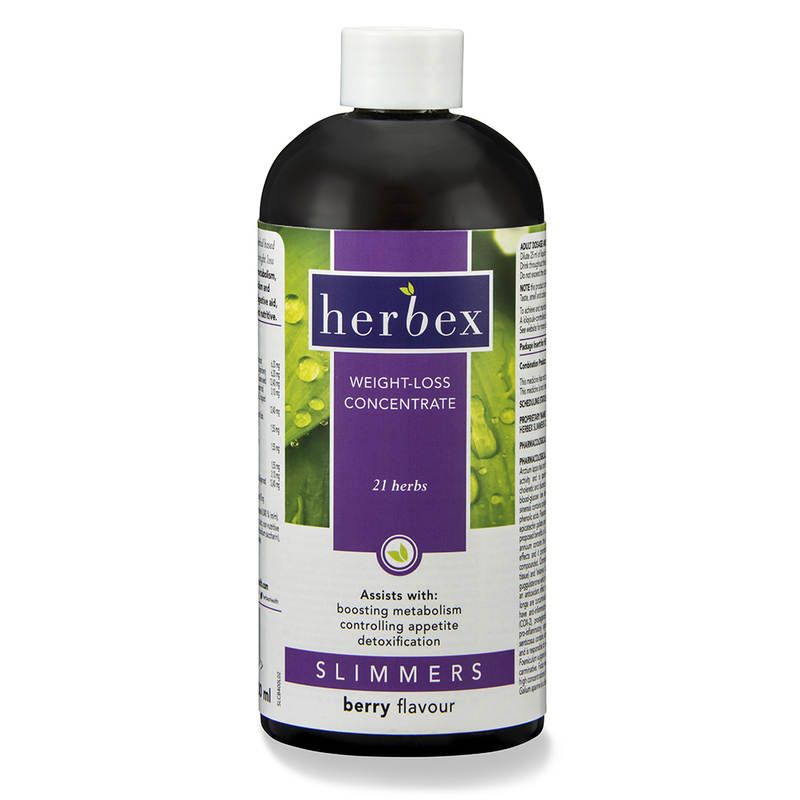 Herbex Slimmers Weight-loss Formula 20-40 acts as a general tonic and helps address the weight-loss needs of women between the ages of 20 and 40 by boosting metabolism, controlling appetite, increasing energy, assisting fat metabolism and detoxification, and by acting as a diuretic and digestive aid. 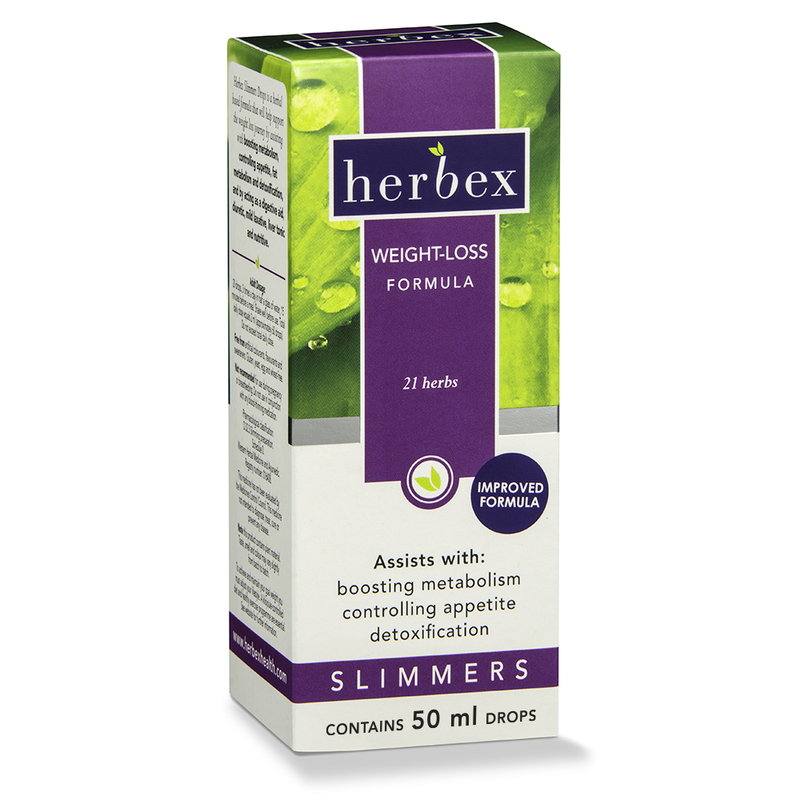 This slimming and reshaping formula for men contains 11 carefully selected and highly effective herbs in an easy to take “two-a-day” tablet. 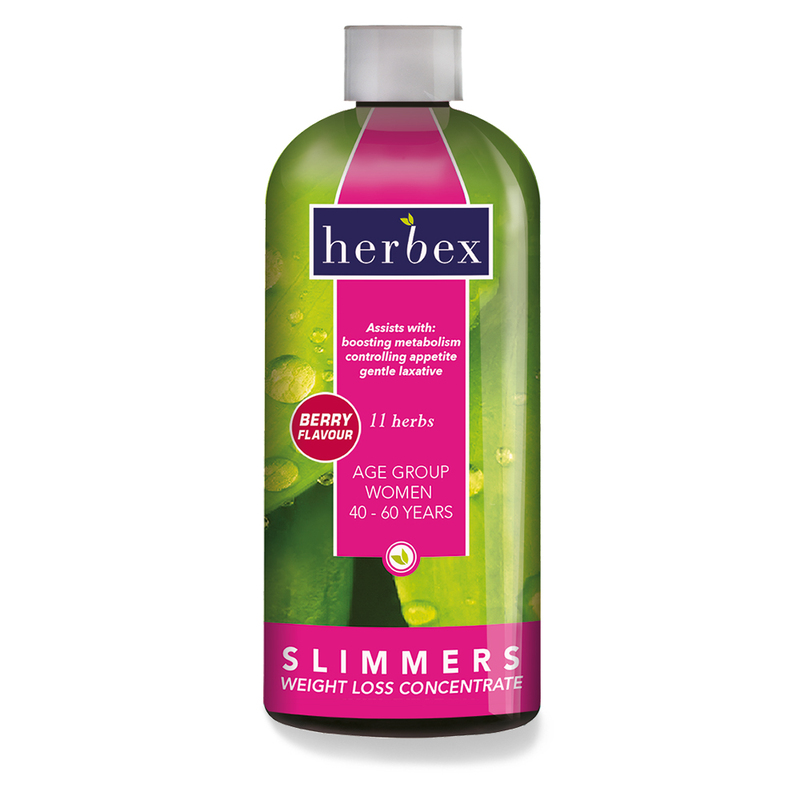 Herbex Slimmers for Men provides eight specific benefits to assist men of any age and lifestyle to lose their excess weight and improve appearance and general health: 1. Stimulating activity 2. Burning calories 3. Reduces appetite 4. Lowers cholesterol 5. Cleanses and detoxes 6. Diuretic 7. Gentle laxative 8. Stress reducing Men generally carry weight in two specific areas – the lower torso, stomach or ‘boep’ area and the upper thigh and buttock areas. 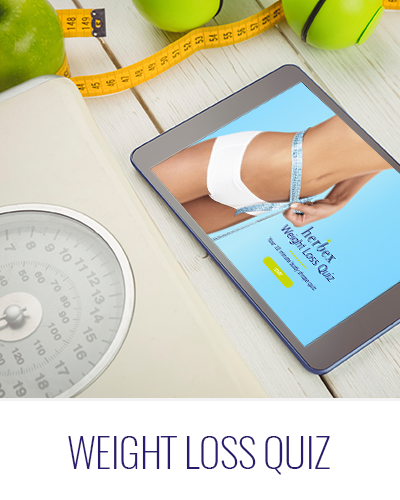 These problem areas are created by indulging in fatty and rich foods and becoming more sedentary with age. Reducing appetite and stimulating activity assist in slimming and reshaping the male physique. Increased stress and reduced energy levels are responsible for the lack of motivation to stay in shape.